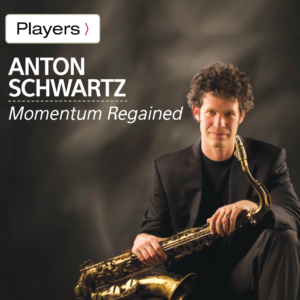 On Anton Schwartz’s 2006 album, Radiant Blue, the tenor saxophonist’s strong melodic themes and driving rhythms recalled early ’60s Blue Note records. The album hit No. 4 on the national radio charts, and the Bay Area bandleader seemed poised for even greater success. Then, it took nearly eight years for him to release the follow-up, this year’s flashMob. Schwartz blames his record company. He accuses the label of getting distracted by other projects and allowing his momentum to get sidetracked. He knows because he runs the company, which he calls AntonJazz. For flashMob, Schwartz brought back three-fifths of the Radiant Blue lineup: himself, pianist Taylor Eigsti and bassist John Shifflett. The leader replaced drummer Tim Bulkley with Lorca Hart and guitarist Peter Bernstein with trumpeter Dominick Farinacci. Schwartz had done a lot of writing during his eight-year recording hiatus, and when he looked over the material, he realized that the strongest group of tunes had been composed for trumpet and tenor sax. As a teenager in Manhattan, Schwartz studied with Warne Marsh and then with Eddie Daniels. He also devoured the music of Joe Henderson, Gene Ammons and Stanley Turrentine. But just as influential, Schwartz insists, were records by Ray Charles, Stevie Wonder and Earth, Wind & Fire. On flashMob, Schwartz plays Kenny Dorham’s “La Mesha” and Thelonious Monk’s “Epistrophy.” On earlier albums he covered tunes by Wayne Shorter, Benny Golson and Sonny Rollins.